Tips on how to build a complete and relevant keyword portfolio. The entire SEOmonitor methodology and tools are only powerful with a well-built keyword portfolio. A good understanding of a website's SEO opportunity, as well as its current performance and trend, depends on the list of tracked keywords. It is therefore critical to do a thorough research for each campaign, to make sure you find and track most of (and only) the relevant keywords that define your target market within the platform. In order to understand the non-brand organic traffic trends, it is crucial to monitor those keywords that already generate organic traffic to your website. You might be tempted to only track those keywords for which you want to improve your rankings. But the keywords for which you already rank well are also very important. Their rank fluctuations will significantly affect your non-brand organic traffic, so it's good to keep an eye on them. Not tracking them means losing all the insights provided in the platform for your currently most valuable keywords. Moreover, this would make the SEO reports and the comparisons with competitors less accurate. Secondly, tracking this kind of keywords would misleadingly increase the total search volume of your campaign with keywords without any SEO Opportunity. This will also reflect in the value of the Visibility Score. In the example above, note how "iphone", in spite of being the brand name of a product, is not highlighted as a brand keyword. Unlike "apple", it does not represent the brand of a website. 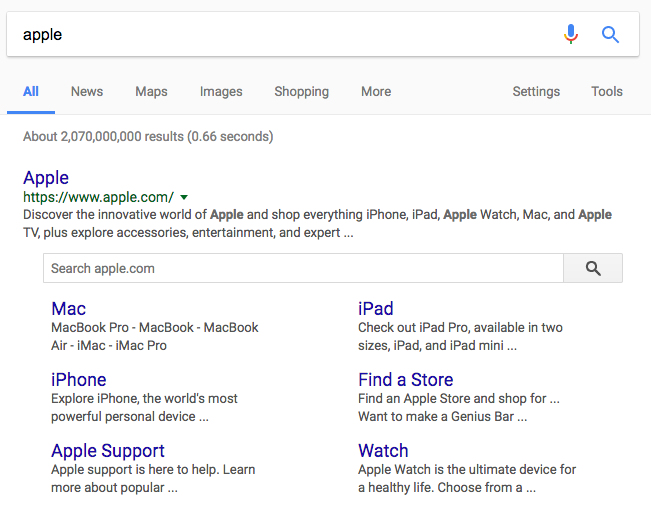 This is due to users' intent: when they search for "apple" they want to reach the Apple website, while when searching for "iphone" they are looking for more information the product, with no particular website in mind. Due to our algorithm of aggregating close variations in the same way done by Google Adwords, you don't have to research and track spelling variations or misspellings separately. Their search volumes are already included in the main keyword, and most of the times you will rank similarly for close variations of the keyword. Not tracking close variations will thus save you resources for other more relevant keywords. For resource optimization purposes, we recommend not tracking keywords with zero or very low search volume, since their impact on your data (Visibility, forecast etc.) is negligible. You can't manage what you can't measure, so tracking all the keywords you plan to work on is definitely necessary. Monitoring them will help you understand their opportunity and prioritize accordingly. Keywords now have a dedicated label, for a better prioritization of the ones you need to focus on. Like for example, you know the season is soon approaching for the ones with the yellow label and that the keyword is in full season for the ones with the green label. Sometimes, when your landing pages have a very strong topical authority, you will discover you rank for keywords totally unrelated to your products or services. you would be spending SEOmonitor resources that could be more productively used.